Aliki. 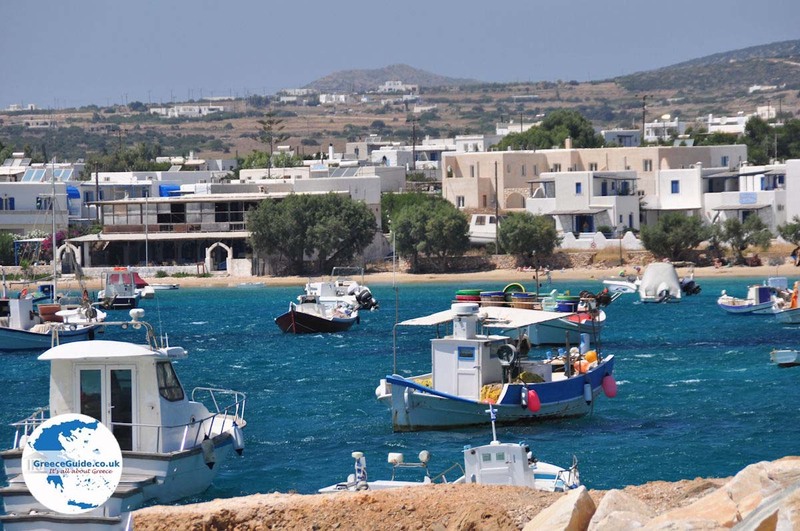 Aliki is a picturesque village in the southwest of the Greek island of Paros, located at 13 kilometers (8 mi) from Parikia. 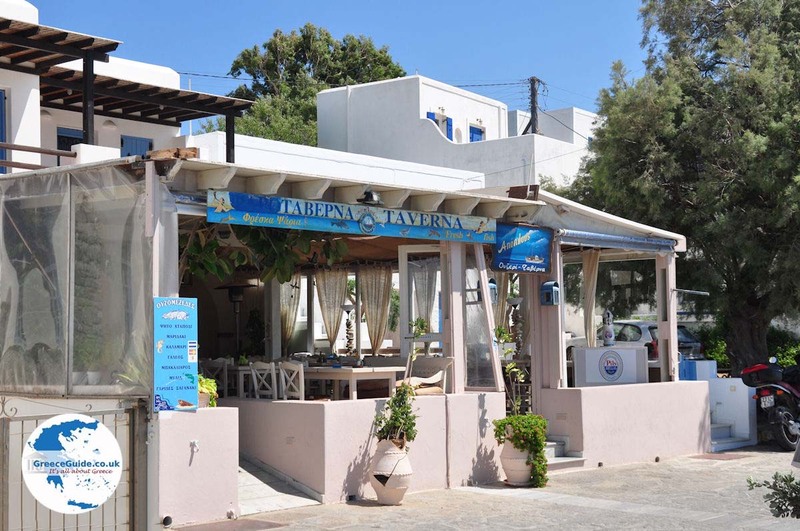 It is situated in a bay, with a small fishing port and a beach. 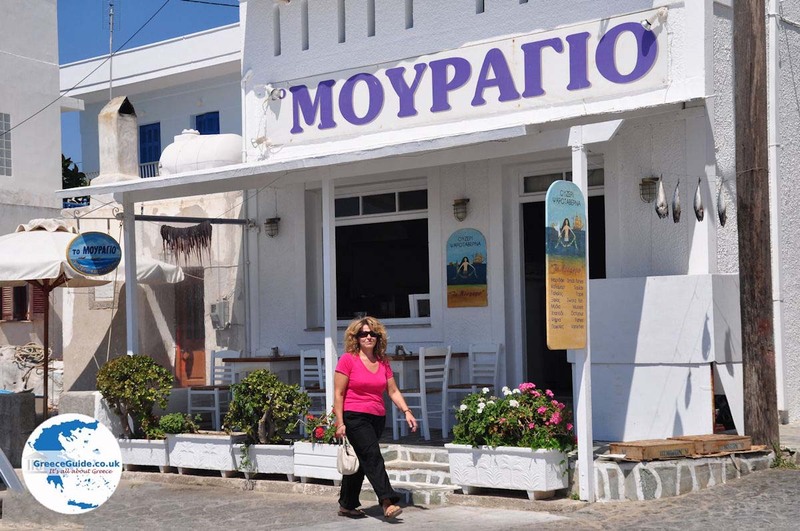 At the harbor are several restaurants and cafes. 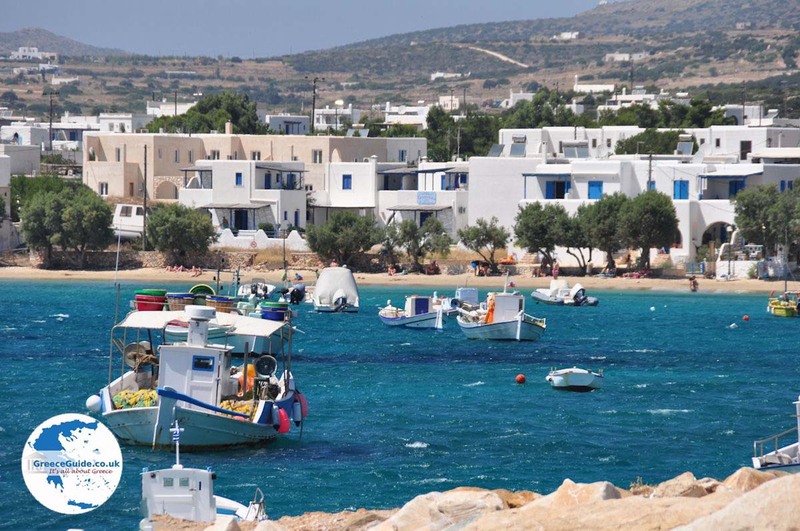 About five hundred permanent inhabitants live in Aliki. Most are employed in fishing and tourism. 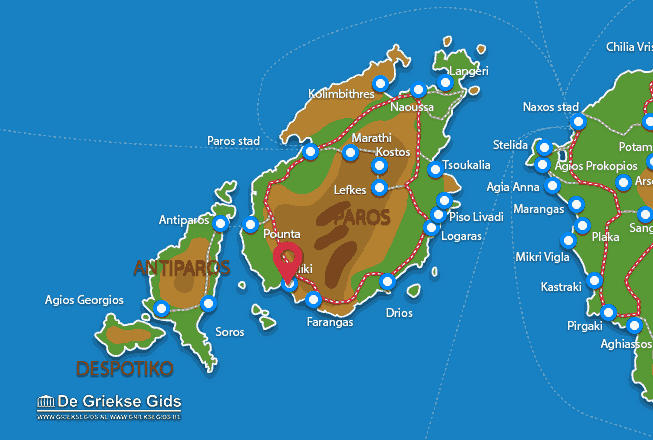 This region is known for its history in salt production. 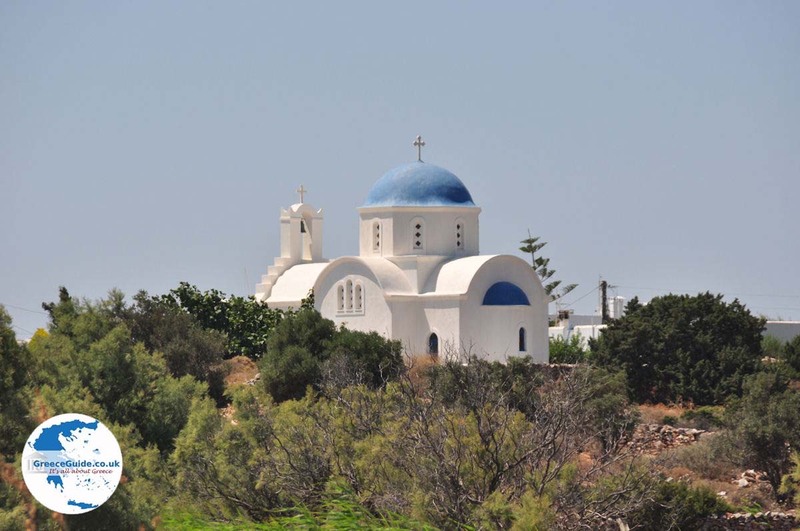 Only a few cultural sites are found in Aliki – a few churches, a war monument and the ethnological museum, "Skorpios." In this museum one can see miniatures of boats from the past. There are also carefully detailed models of Parian houses and various crafts from the 19th century. 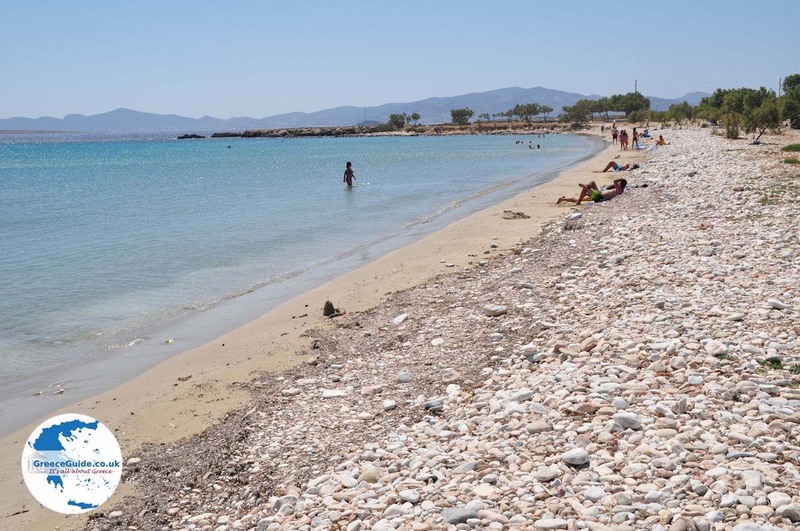 Near Aliki there are many scenic beaches. 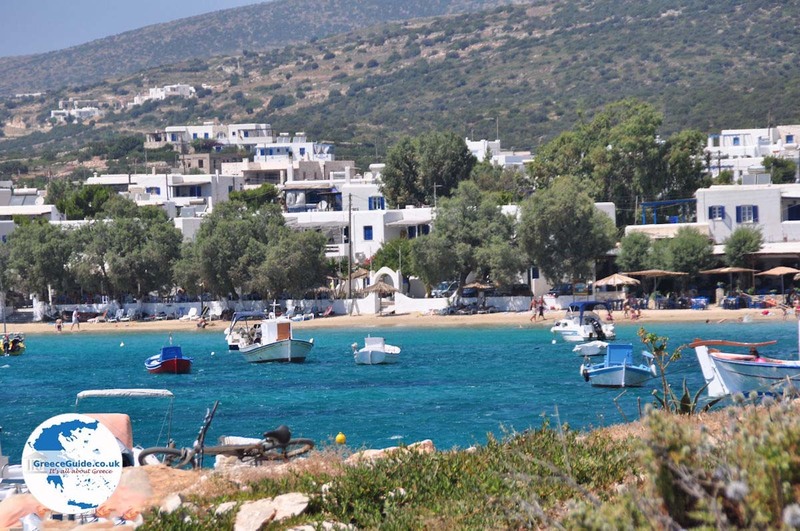 The most famous beach is Farangas, which lies a few kilometers southeast of Aliki. 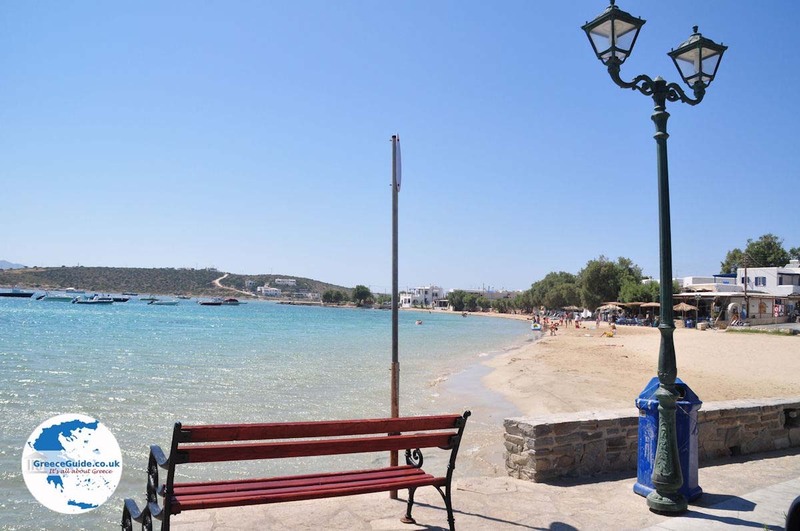 On this beach you can rent chairs and umbrellas, and water sports are available. 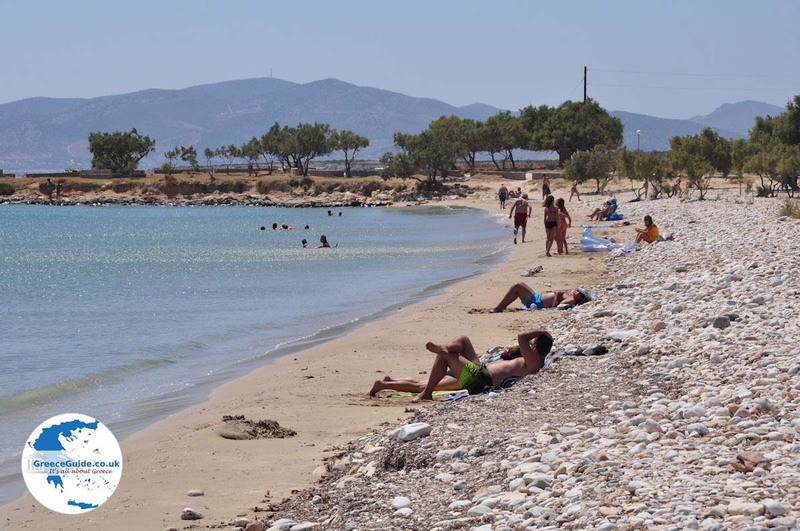 Other popular beaches are Tripiti and Glyfa. 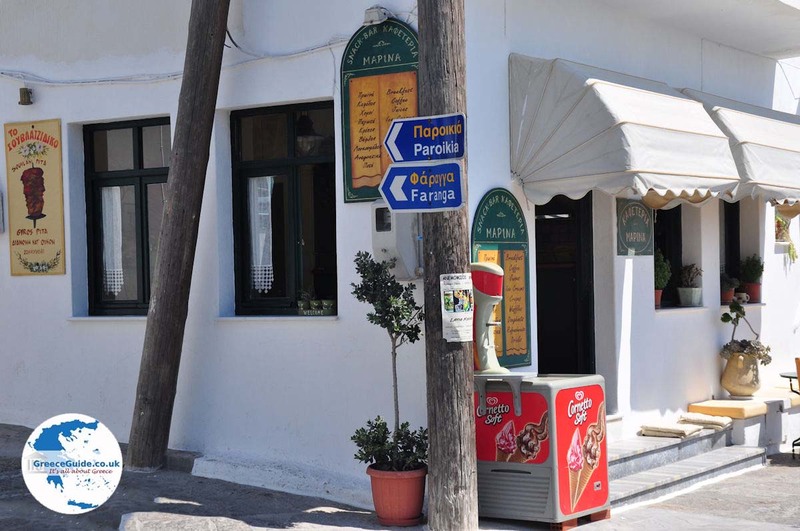 Paros: Where on the map is Aliki located?